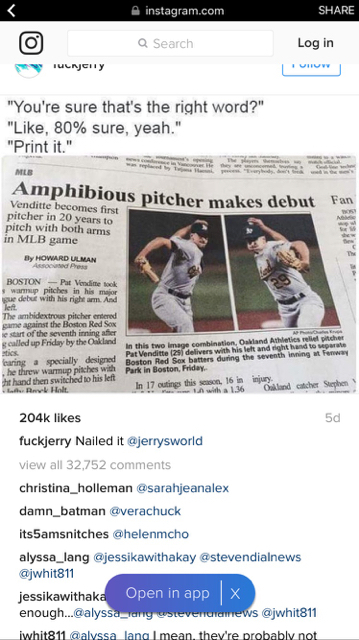 [url=http://theportforum.com/viewtopic.php?p=99890#p99890]Here[/url] jdaw1 wrote: Would it be worth making a special team-skinny-fries request? Tricky. Too many layers: ‘skinny’ must bind to ‘fries’ more tightly than the pair does to ‘team’, which must bind more tightly to the pair than to ‘special’. Obviously the correct answer is a re-word, but failing that, the punctuation is tricky. "A special order of skinny fries for the team" requires no such complexity. [url=http://theportforum.com/viewtopic.php?p=100065#p100065]Here[/url] LGTrotter wrote: corked bottles becoming the responsibility of the cork producers insurance company. I have apparently purged most of the memory in self defense, but I saw a sign on the road that managed to make multiple errors with a single misplaced apostrophe. As I recall the word in question ended in 's' and so appeared to need to have the apostrophe after the 's' for plural possessive. The problem being twofold: a) this was one of those other words that ends in 's' that needs to have an apostrophe and an 's' added, and b) in the usage on the sign the word was neither plural nor possessive. I really wish I could remember the whole sign. It was spectacularly bad. Can it be found on Google’s streetview? jdaw1 wrote: Can it be found on Google’s streetview? Likely not. It was the same type of sign as is most often used for political purposes (i.e. non-permanent). Roughly 11 x 17 and stuck in the ground by its wire frame. This punctuation criticism went wrong. jdaw1 wrote: This punctuation criticism went wrong. Please clarify the accusation. I would expect "some people's keyboards" as appears currently written (it may have been corrected?) for the keyboards of some people; by comparison "some people's faiths" (the faiths of some people) vs "some peoples' faiths" (the faiths of some peoples) both being different and valid. PhilW wrote: Please clarify the accusation. A shop near East Croydon station, 13th March 2016.
jdaw1 wrote: Their was an error. Ah, their was indeed. I was too apostrophe-focused. 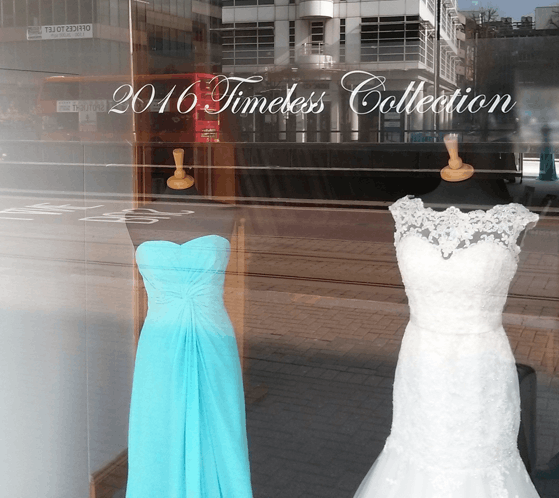 The "2016 Timeless Collection"... oh dear. He did play for the Charleston RiverDogs, so maybe. [url=http://www.theportforum.com/viewtopic.php?p=100289#p100289]Here[/url] LGTrotter wrote: The QVVV has no chance of being at it's best at 21. 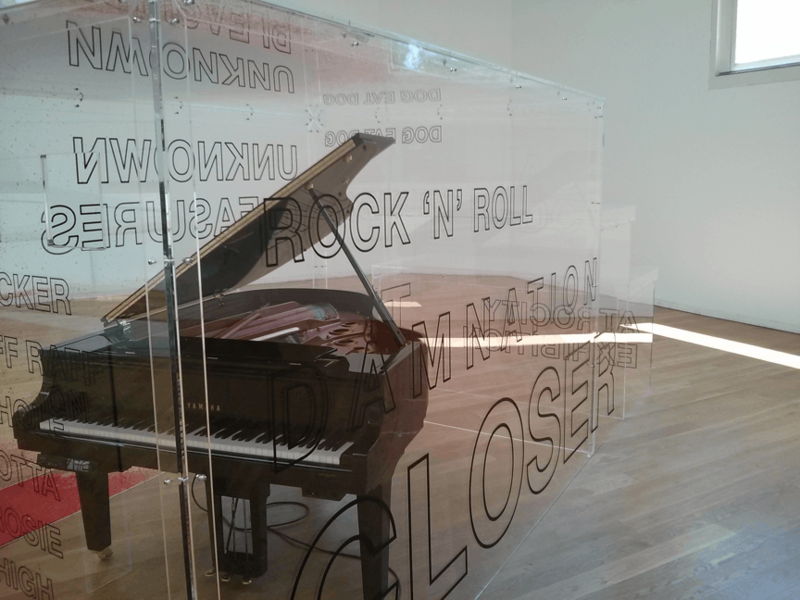 Serralves.pt wrote: This first exhibition in Portugal of influential New York-based British artist Liam Gillick (1964, Aylesbury, UK) results from a series of site visits to the Serralves Museum of Contemporary Art made since 2013. The subsequent exhibition takes the form of a year-long presentation and reflects Gillick’s long-standing engagement with questions of process, participation, collectivity and decision-making, and of which his varied approach to language and the language of space are an expression. I've re-read this a couple of times and can't find the problem. Can you enlighten me? I believe the apostrophe before the 'n' is wrong. I'm not a true linguist so do not know the correct names, but both should be a straight apostrophe and not a curled apostrophe. At the very least they should both be the comma-style curled apostrophe, not the upside down one, as the letter 'n' is not being encapsulated by them. Both represent a missing letter. Glenn E. wrote: I believe the apostrophe before the 'n' is wrong. I'm not a true linguist so do not know the correct names, but both should be a straight apostrophe and not a curled apostrophe. At the very least they should both be the comma-style curled apostrophe, not the upside down one, as the letter 'n' is not being encapsulated by them. Both represent a missing letter. Both should be right single apostrophes, also known as ‘9’s. For the reason you say. Separately, “engagement with questions of process, participation, collectivity and decision-making”, in this context and perhaps in others, is pretentious nonsense. Which our Artist-in-Residence might think good. Or at least might wish that we participants, collectively and decisively whilst following due process, engage with its questions. [url=http://www.theportforum.com/viewtopic.php?f=8&t=2038&start=325]Here[/url] AHB wrote: Presumably if the salad had been properly washed in a product designed to kill bacteria and remove their toxins then the consumers would have been fine. So the morale of the story (apart from don't eat leaves) is that salad should be washed in vodka or gin before being eaten. There is (or, more accurately, hopefully will be) a list of banks, called the ‘Preliminary List’. Would you say that a bank is on the Preliminary List, or in the Preliminary List?